Why a Defence Growth Partnership? Watch how government and industry are working in partnership to ensure the UK’s Defence Sector grows in the future by strengthening our global competitiveness and inspiring the next generation. 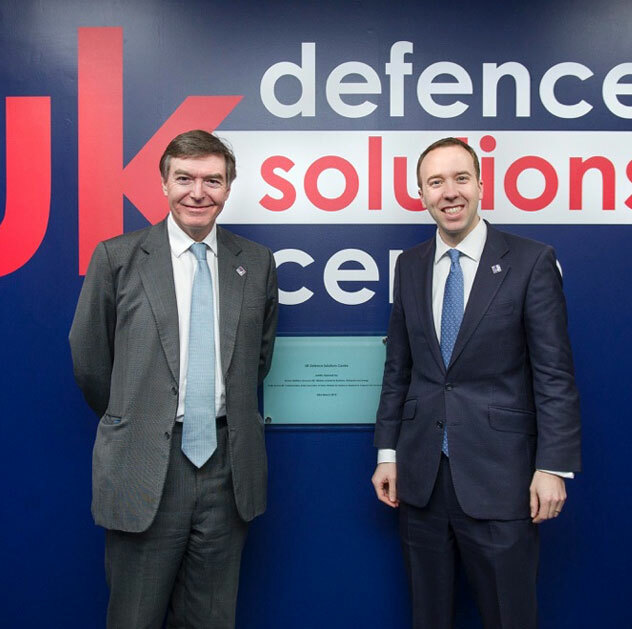 Business Minister Matthew Hancock and Defence Minister Philip Dunne today opened the Defence Growth Partnership’s (DGP) UK Defence Solutions Centre (DSC) at the Cody Technology Park in Farnborough, Hampshire. The First Sea Lord, Admiral Sir George Zambellas, will today visit the Centre for Maritime Intelligent Systems (CMIS). At the cutting edge of technology, the centre was opened in November last year and is dedicated to enabling UK industry collaboration focussed on the exploitation of unmanned boats, underwater vehicles and aircraft in the maritime domain. The Defence Growth Partnership (DGP) has appointed Steve Brittan to lead the new UK Defence Solutions Centre (DSC), based in Farnborough. The UK DSC will play a vital role in securing competitive advantage for the UK defence industry. The Defence Growth Partnership (DGP) has appointed leading industrialist, Allan Cook CBE, to Chair the UKTI Defence and Security Organisation (UKTI DSO) Industry Liaison Board. As industry and government continue to work together more closely through the DGP, the Board will play a crucial role in identifying export opportunities and maximising UK export success. Minister for Portsmouth Matthew Hancock has officially opened a new cutting edge centre for research into unmanned autonomous boats, submarines and other vessels – a market that is estimated to be worth £9 billion each year over the next eight years. IHS Jane’s 360 reports that the UK government has outlined plans for a new Centre for Maritime Intelligent Systems (CMIS) as party of its Defence Growth Partnership (DGP) initiative. In a letter to The News, Prime Minister David Cameron outlines how Portsmouth will be the home of a new £4m centre of Marine Intelligent Systems, an initiative developed through the Defence Growth Partnership. Statements of Support for the DGP following the Prime Minister’s announcement at Farnborough of the DGP Implementation Plan. Defence Growth Partnership All rights reserved.